My husband and I love going to the beach. We are about seven miles from the Atlantic Ocean and the beaches here on the Space Coast are lovely. 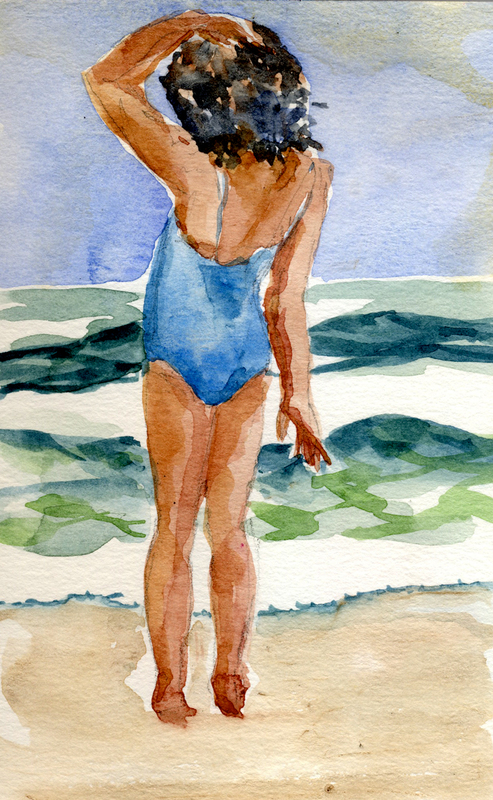 Sometimes my husband will take his surf board and I will take my small watercolor set and we will spend the day at the beach. This is one of the little sketches that I created at the beach. I don’t use any pencil, I simply draw with my paints. It challenges me to work faster because the people on the beach are constantly moving, and I can’t always capture as much as I did here. Usually I just record a quick gesture. 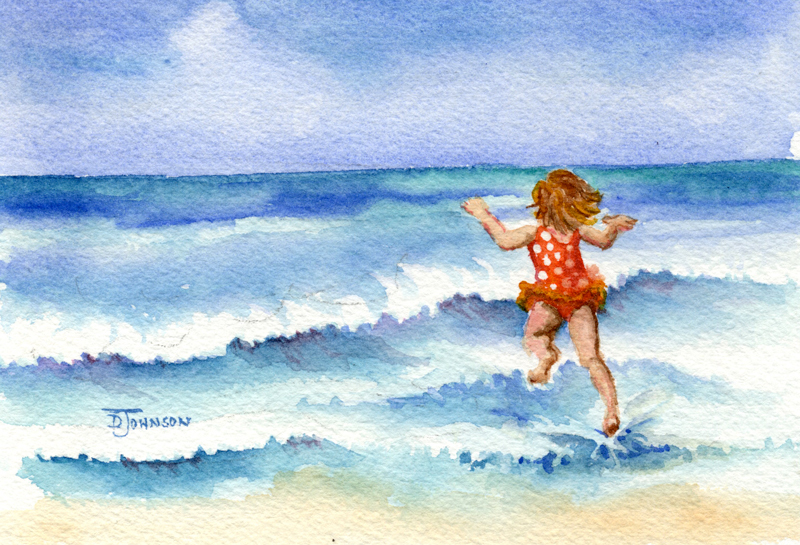 One of my neighbors had purchased two of my miniature paintings of little girls playing on the beach a while ago. I saw them last night and they asked if I would create one more for their third daughter. So, here it is. The painting measures about 4 x 5 inches and it is framed with a small, gold metallic frame. I sure hope they like it. I really had fun creating it.